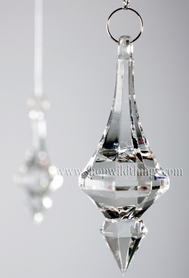 This bead shape is a smaller version of our "Carrie" pendant. These are excellent for building your wedding trees and centerpieces. Add them to the bottom of our strands of beads! Deal of the decade! 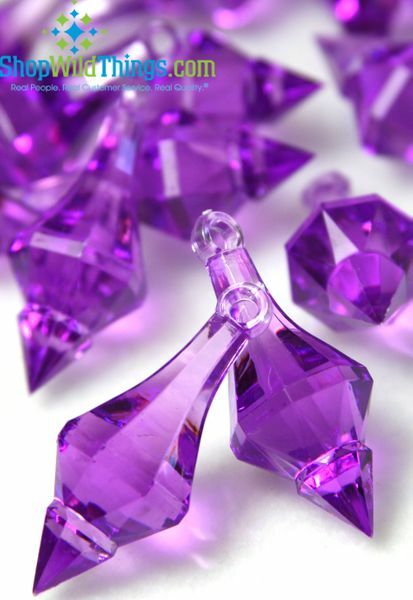 These delicious purple pendants measure a little over 1.5" long and have a hole in the top for hanging from wire or clear monofilament (fishing line). Comes in a bag of approximately 130pcs. These are sold by WEIGHT so you might be over or under on the item count slightly. EXCELLENT quality acrylic. 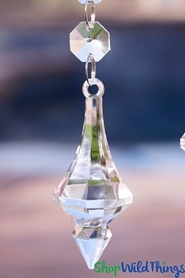 These crystal pendants are beautiful and color is perfect.